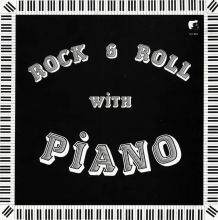 (EMI-NL) 12 Tracks - 1971-1975 - Holländisches Boogie Piano der Meisterklasse mit Hang zu Rock´n´Roll! Erinnert zuweilen an den großen Freddie ´Fingers´ Lee und an Chas & Dave! (2000/Arpeggio) Migration has played a key role in the blues, as America´s black population moved to urban centres seeking employment, many blues legends came with them. But New Orleans born William Dupree ventured further than most, num-bering Indiana, Chicago and Detroit among his ports of call before emigrating to Europe in 1959. He wouldn´t return home until 1990, two years before his death, but by that time he´d been acclaimed as one of the last surviving barrelhouse style piano players in the Crescent City style. Dupree was born in 1909 and followed in the footsteps of the legendary Louis Armstrong with an upbringing in the New Orleans Colored Waifs Home for Boys after his parents died in a racially motivated arson attack. Music became a way for the enterprising orphan to hustle a dollar or two, and he picked up his pounding piano style from local greats Willie Hall and Don Bowers. But though he moved to Chicago at the start of the 1930´s, he failed to break out of the club scene there and, after a short spell as a café pianist in Detroit, dedi-cated the rest of the decade to a career in the boxing ring. Hands that had previously caressed the ivories proved remarkably adept at decking oppo-nents, and ´Champion Jack´ Dupree, as he was professionally tagged reached the dizzy heights of lightweight champion of Indiana in a career whose fights totalled three figures. His music, though now a part time profession, had meanwhile matured under the early influence of Leroy Carr, whose laid back singing style he favoured, and his talents were recognised by noted producer Lester Melrose who cut him in Chicago, an album ´Dunker Blues 1940-41´ preserved the results of some of these early sessions. The stage was set for a musical renaissance. But the outbreak of war saw him conscripted into the US Navy and a spell as a Japanese prisoner of war added yet another (albeit unwanted) geographical diversion to his travels. Dupree´s musical career restarted in earnest in New York, where the fast growing rhythm and blues scene ensured that labels like King and Savoy were more than happy to cut him. The breakthrough came in 1955 when ´Walking The Blues´, a duet with Teddy ´Mr Bear´ McRae revisited here, reached number 6 in the R&B charts. After many diversions, Champion Jack was back on track.... The same year saw him play a New York session in June with former child star Little Willie John, whose life would end tragically in 1968 when he died in prison of pneumonia after taking a manslaughter rap. 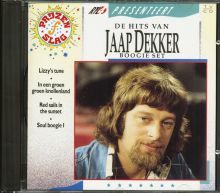 Our compilation contains two of only three tracks Jack and Willie would cut together: one of the songs, Titus Turner´s ´All Around The World´, would prove to be a top 10 pop hit for Willie that year and features backing here from Willis Jackson (tenor sax), Mickey Baker (guitar), Ivan Rolle (bass) and Calvin Shields (drums). 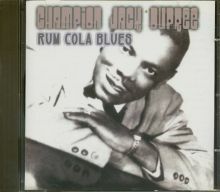 The Groove and Vik monikers were further labels to add to Champion Jack´s blues baggage before, tiring of the racism he encountered in American society, he determined to take his talents to Europe. Audiences there were delighted to have a legend in their midst, and musicians from the ranks of Free, Chicken Shack and the Rolling Stones flocked to play with him and enjoy authenticity by association. Mickey Baker — present on the Dupree/Willie John sessions back in 1955, a hitmaker the following year with ´Love Is Strange´ and now resident of Paris — would also often be found accompanying Jack as he toured Europe extensively, making his home in Switzerland, England, Sweden and finally Germany. All Around The World´ indeed.... Dupree´s triumphant return home to play the New Orleans Jazz and Heritage Festival in 1990 led to a live album and a repeated booking. But further acclaim was cut short by his death in January 1992 in Hanover, Germany. Fats Domino was just one New Orleans piano man to have benefited from Dupree´s trailblazing example — indeed, one of his earliest recordings was a version of ´Junkers Blues´.